JCC Association expresses gratitude to FBI and Israeli police for arrest of man responsible for over 120 bomb threats this year. JCC Association of North America President and CEO Doron Krakow expressed his gratitude for the arrest on Thursday of the person allegedly responsible for the recent waves of bomb threats against over 120 Jewish Community Centers and other Jewish institutions in the US and around the world. 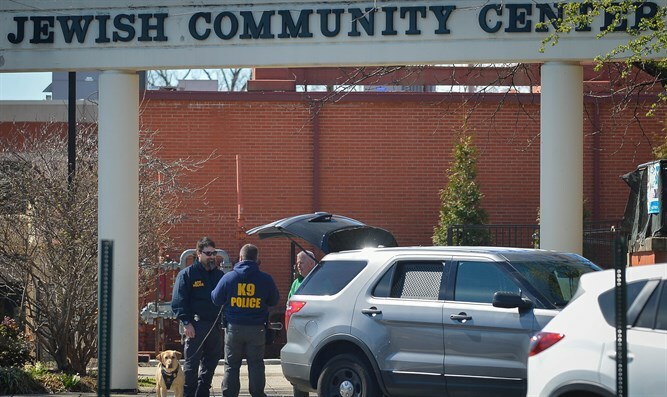 “We are troubled to learn that the individual suspected of making these threats against Jewish Community Centers, which play a central role in the Jewish community, as well as serve as inclusive and welcoming places for all – is reportedly Jewish," he added. “Emblematic of the strength of JCCs and the important model they represent for acceptance, inclusion, and appreciation for diversity is the remarkable support we have received from communities and community leaders across North America, including civic, political and faith community leaders. Throughout this long running period of concern and disruption that we are hopeful has come to an end, JCCs have had the opportunity to review and assess our security protocols and procedures, and we are confident that JCCs are safer today than ever before.